Startup owner’s life is challenging and the entrepreneurs are always loaded with never ending list of top-priority tasks everyday. Thankfully, there are really good tools available today that can help us save time run the business efficiently. I’ve teamed up 10 such awesome tools that I use regularly and I think they will be extremely useful for other entrepreneurs as well. In this fast changing world, learning can never stop and the resources available on internet can sometimes get overwhelming. With Teach Yourself To code, you can find the top tutorials recommended by programmers. There are lot of free courses you can start with before you start feeling rich and reach out to your credit card. Also check this guide on Lifehacker which is good starting point for a newbie and for advanced users, here is comprehensive list of programming resources, which includes free books as well. I just can’t find any other free tool which is as useful as Google Analytics. Its no longer limited to just page views. With Google Analytics, you can setup goals, track user events and even setup a conversion funnel. Its very powerful and can help you shape up your product as per the user behavior. Want to know which is the most used feature in your application? or how many paying users from Mumbai haven’t logged in since last month? Mixpanel can help you answer such complex questions with its easy to implement tool. It focuses more on engagement than the page views. Their free plan is a good to start with and experiment with the service. This is my favorite tool as it goes a step further and lets you contact your customers based on their behavior. It can replace your CRM, helpdesk and email marketing apps easily. Their recent price hike makes it little expensive but its good for the value it brings on the table. For a tech startup, its easy to get drenched in product development and completely forget about finances. Simply because, accounting is known as a boring thing and ‘someone else’ can take care of it later. Well, please do not commit this mistake. Stay on top of your finances with this simple and easy to understand accounting application. With ProfitBooks, you can create beautiful invoices, track day to day expenses, record banking transactions and even process monthly payroll. It does not use accounting jargon and can be used by non-accountants. 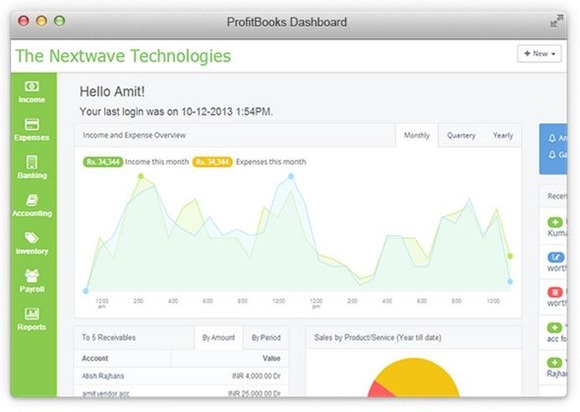 With ProfitBooks, you can invite your accountant and he can then view your books regularly from his office. Its made for Indian businesses and consistently rated as the best online accounting software. One thing eat up majority of your time in the day is Email. You can get addicted to check your mails every 10 minutes and create false feeling of urgency and busyness. If you learn to master it, you’ll have lot of free time for that guitar class you always wanted to join. 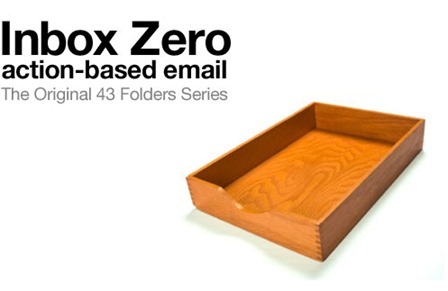 Inbox Zero is not a tool but its a concept made popular by Merlin Mann. Check out these tips to achieve zero mails in your Inbox. I personally liked the service Unroll.me which lets you get rid of unwanted mails in few minutes. I was surprised to find out that I had unknowingly subscribed to over 47 newsletters which were flooding my mailbox. If you mostly check mails on your smartphone, then Mailbox app can help you save a good amount of time. Outlook users, check this tip to achieve Inbox Zero. Weekplan is a ridiculously simple task manager based on the principles of ‘7 habits of effective people’. I would advise to keep just 3 most important tasks for a particular day and then add more once your complete them. Asana is so flexible that it can be used for project management, defect tracking and even as a CRM. Its interface is clean and super easy. Free plan includes 15 team members which is good enough for a small team. Looking for a logo designer? Want a voice over for your intro video? Looking for affordable SEO services? 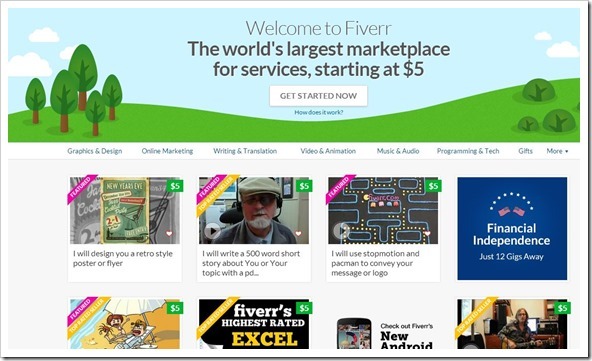 Fiverr can help you find these and more services just for $5! Yes, its that cheap. Whenever I need quick artwork, I always get it from Fiverr rather than running around local designers. Its ultra useful. This site lets you create list of useful resources. You can browse through the existing lists and discover really good sites. Last time when I checked, it had over 600 creative resources in 42 categories. Do you know an awesome tool which could be useful for fellow entrepreneurs? Please share it in comments. Asana is on the list. I would like to suggest Teamgum, an instant way to share web links with your team. Two clicks and it’s out there to your colleagues. Collaborate on work related content, anything web. Just checked and and signed up for ProfitBooks and Asana.. both are amazing services.. thanks for useful roundup. 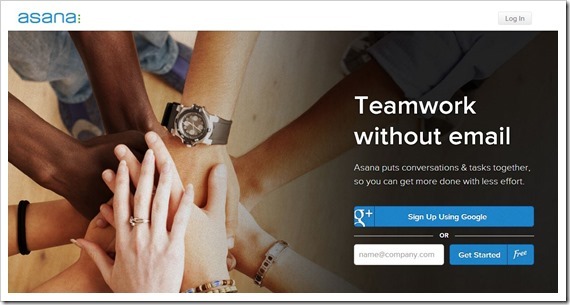 Hi Sameer, Teamgum, if not exactly is similar to what Asana does. Check it out if it caters to your need. Basically, teamgum is a team based collaboration tool. Share any web link in two clicks flat. Instantly. Nice roundup. Fiverr seems really useful. 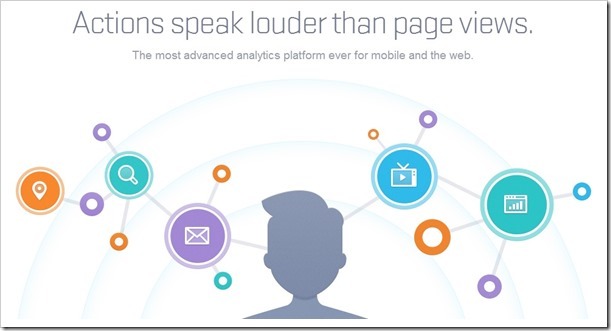 Nice info..An alternative of “Google Analytics” can be “Flurry”. It provides even more functionalities than Google Analytics.